For more than 22 years, John has been helping business owners, key executives and high-net-worth individuals transform their life aspirations into financial realities. By establishing a culture of integrity and trust, creating realistic expectations, and providing investment planning and insurance strategies, he helps them pursue financial independence. He specializes in working with his corporate clients in both their qualified and non-qualified retirement plans. Having qualified for the LPL Financial Retirement Plan Consulting Program (RPCP), he is one of an experienced group of advisors providing ERISA 3(21) fiduciary services on an independent basis for both defined contribution and defined benefit plans in the for-profit and nonprofit markets. In addition to retirement plan services, he assists his corporate clients with their group medical and insurance plans, creating independent plan designs to provide them with alternative ways to save money without reducing plan benefits. 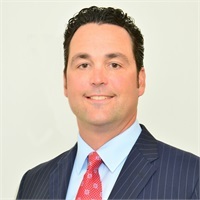 He works with his individual clients in the following areas: fee based financial planning, investment management, insurance planning (life, disability and longterm care), retirement income planning, estate planning and college planning. John holds the Series 7 and 63 registrations with LPL Financial and the 65 registration, through Wealthcare Advisory Partners LLC, as well as life, health and accident licenses, and is a member of the National Association of Insurance and Financial Advisors. He supports many charitable organizations and has been on the Board for UNICEF’s Drive for Zero for the last 3 years. He attended the University of Tennessee and Temple University, and was the number one amateur doubles tennis player in the United States in 1991 and an ATP Tour tennis professional. When not hard at work helping his clients, John enjoys spending quality time with his family, participating in competitive golf GAP events and is a two time Club Champion at Philmont Country Club. He lives in Dresher, Pennsylvania, with his two children, John Jr. and Gabriella. Group Medical and Insurance plans are not offered through LPL Financial or Secure Planning Group LLC.